The Channel Islands were the only parts of the UK invaded and occupied (taken over) by German forces during World War II. The British government had decided that the islands were not important for the war effort so would not be defended. Those living on the islands were instead given the chance to be evacuated but majority of them chose to stay. 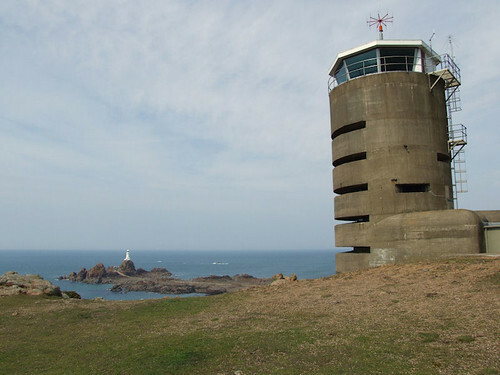 The German army landed on the Island of Guernsey on 30th June 1940 and within days all the islands had surrendered. There was about one German for every two islanders and to show their control, they: introduced a new type of money called the Scrip, changed the time zone to match that of central Europe and changed the rule of the road to driving on the right. Bunkers, gun emplacements, air raid-shelters and concrete fortifications were also built. Camps were set up in which German POWs (prisoners of war) were forced to work on these construction projects. Elizabeth Castle in Jersey was modernised with new battlements and fitted with guns. As all the children had been evacuated and all the young men had been called up to fight, most of the remaining islanders were quite old. 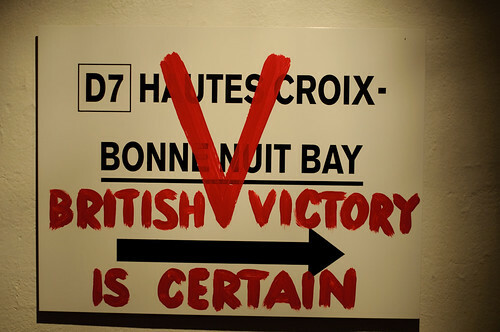 There was little resistance therefore to the occupation, beyond grafting Churchill's V sign (for Victory) over German signs in protest. All wireless radio sets were confiscated, however many islanders managed to hide them in their homes to carry on listening to news broadcasts from the BBC. The occupying German forces didn't surrender until the day after Victory in Europe Day, marking the end of the war. 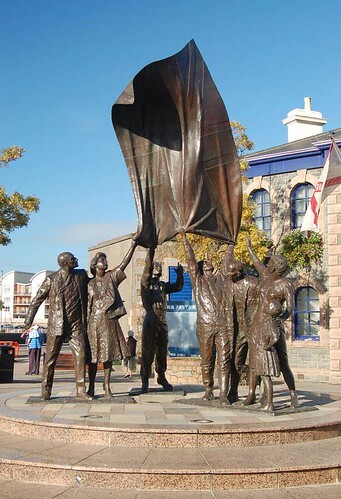 The islands were liberated (given their freedom back) on 9th May 1945. By this point, many of the islanders were on the point of starvation however because German food supplies had practically been stopped following the liberation of France a few months earlier.